Over two million people reside in Houston now and one million more are expected to move here in the next 20 years. 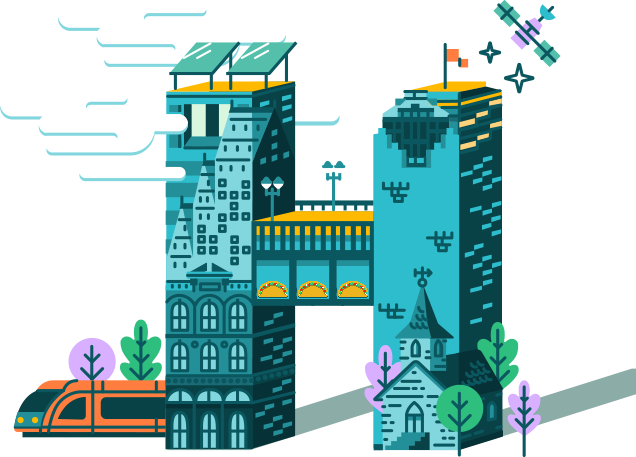 A general plan will enable the City to take a fresh look at enhancing services to current residents and will help the City prepare for the anticipated growth. 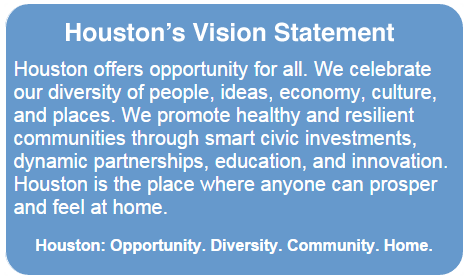 The plan, called Plan Houston is based on existing visions, goals, and strategies already created by the City and organizations representing all aspects of the community. 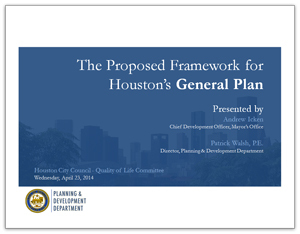 Plan Houston defines successful outcomes for the City and develops strategies to enhance neighborhoods and support growth and development. This effort will improve coordination between government agencies and ensure efforts of the City and its partners are as effective as possible.